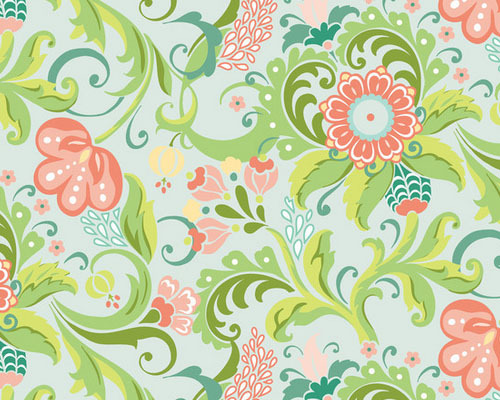 It is my feature floral for “Bonjour, Mon Ami”, my new collection for Blend Fabrics. 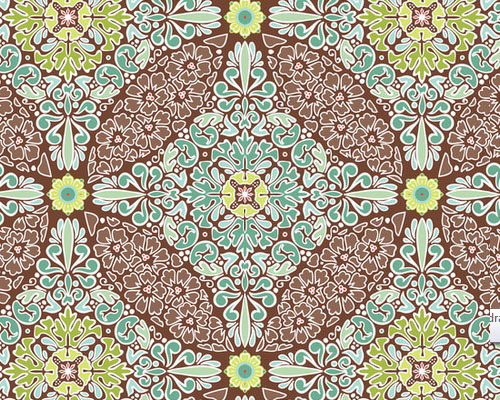 A modern take on some floral elements traditional found in French textiles. 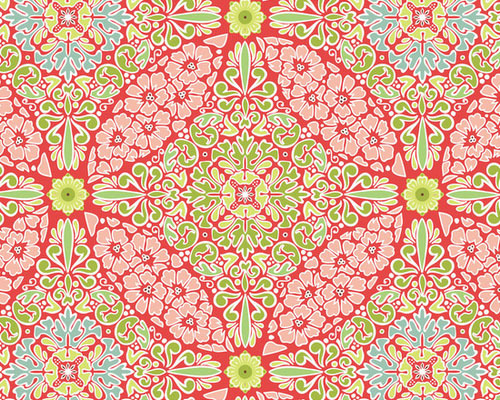 I love it becuase it is happy and – also happily – it coordinates with the aquas and and greens in Bella. Its sister features an aqua background, with slightly more muted colors. And this version is more subdued – and it is my favorite today. I can’t wait to fussy-cut it for a border! On another note, did you know that International Quilt Day is March 17th? To celebrate The Quilt Show is making ALL of its shows from past seasons available to everyone to watch for free starting on this Friday, the 15th, through Sunday the 18th. Plus they have lots of great prizes – even a Bernina 550QE! So make sure to stop by The Quilt Show this weekend! I can't wait to get my hands on some of it. I can't decide yet whether to get a little of each print and color or just one colorway. Tough decision. Gee, these are so, so nice. I love your colors. I too will have a hard time trying to decide on one colorway. I may just pick a bunch from each. Thanks for the info on the Quilt Show. I will check them out. This fabric is beautiful. It screams spring and I am looking forward to its release. Absolutely stunning fabric. All my favorite colors…I can't wait to get my hands on some of this. Great job!! 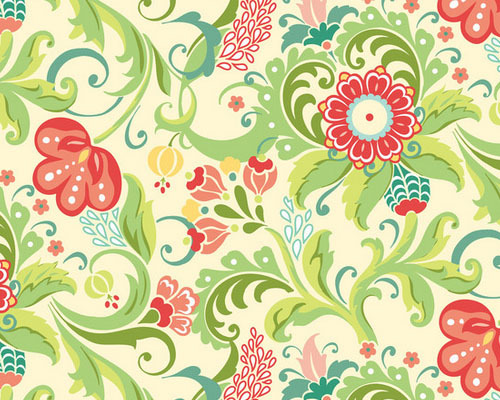 Beautiful fabrics….I'm dreaming of springtime! Amanda, you outdid yourself once again. This is so beautiful! Amanda – The new fabric line is just incredible. I would love sew some fresh floral applique blocks with these. Have a super day! These are gorgeous, Amanda! Are these fabrics in quilt shops already, or do we need to wait a few months? I'm in love with Bonjur, Mon Ami…I've got to have some…and soon. Good thing I got a fun check from my in-laws recently for my birthday.